This is the one Custom Quality Built by Trend Homes & Design BUILDER'S PERSONAL HOME so you know it was built right! Pride of ownership shows! Priced below appraisal! NEW HOME built in 2018 with the NEWEST BUILDING CODES including HURRICANE IMPACT PGT WINDOWS & DOORS Extremely energy efficient 3 Bedrooms PLUS a Den / Office 3 Full Baths Split plan Volume & Coffered Ceilings Crown molding Large Family Room is used as a Bonus Room & Game Room Chef's Kitchen features wood cabinets, beautiful quartzite (real stone, not man-made) counter-tops & an open flow into the Great Room Big Front Porch Relax or entertain on the wraparound back Porch NEW Custom Pool & Spa by Fox Pools Beautiful Paver Brick Deck 3 Car Side Load Garage is OVERSIZED, PLUS there's an ATTACHED 49x20 RV or BOAT GARAGE with a 15 ft Commercial Garage Door Volume Garage ceiling NO DEED RESTRICTIONS - park the toys or work equipment in your must-see garage Whole house generator Paver brick driveway Why have the headache of building? Your new home is ready! Priced below 2018 appraisal Priced below replacement cost Enjoy your slice in Paradise! 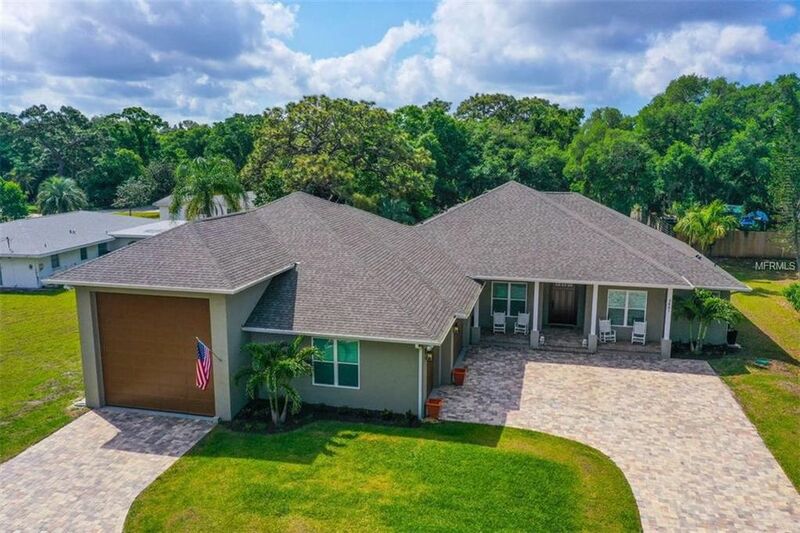 Located in the heart of Sarasota EXCELLENT SCHOOLS Close to shopping, dining, hospitals and a short drive to Siesta Key Beach This home has it all One look & you'll fall in love NEW HOME! Directions: BENEVA EAST ON PROCTOR RD; 2ND R IS MALEC CIR TO YOUR NEW HOME.